Beachfront Villa includes all you need for a beach holiday! Beach chairs, umbrellas and Hammocks. 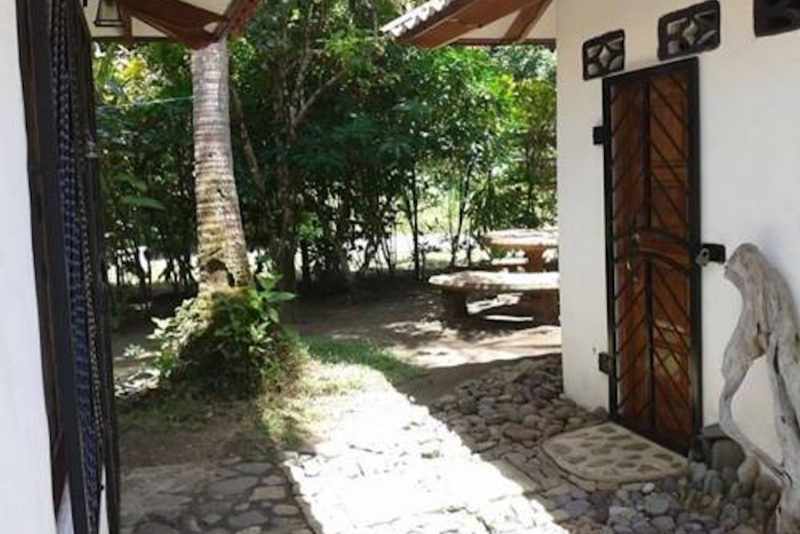 Full house access with two bathrooms, fully stocked kitchen, salon, Master Bedroom with 2 Queens, private veranda, WiFi, outdoor showers and grill area. Flat Screen TV, feel free to hook up your laptop! 2 Queen Beds and we can add two single cots for additional children. Laundry services available for $10 per load. Maximum capacity: 4 adults, 2 children. 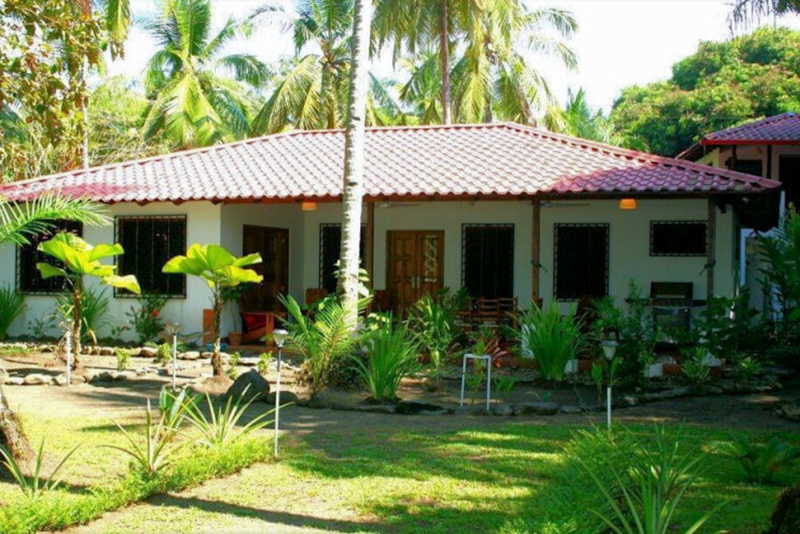 Beachfront Bungalow with a garden and ocean view is perfect for a holiday getaway! 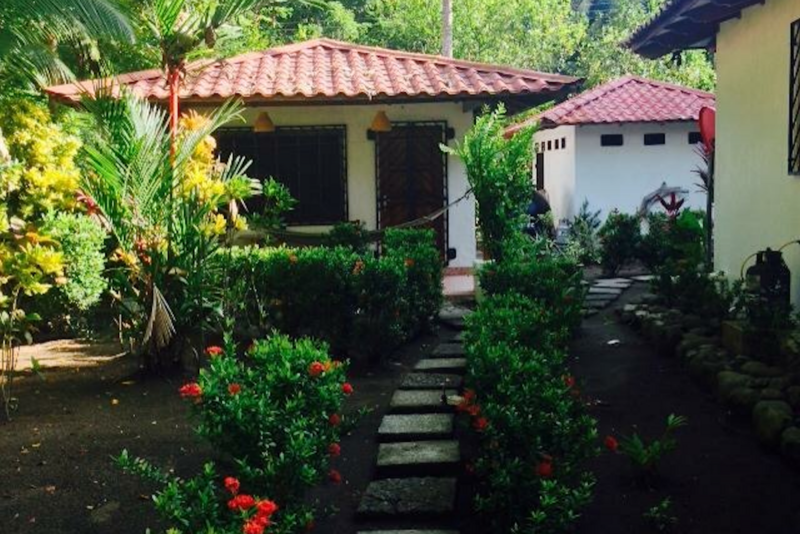 Lower Bungalow is ground level overlooking lush gardens and the Pacific Ocean with a queen bed, fully equipped kitchen, tiled bath and private veranda. Bungalow has hot water, AC and over sized fans. Perfect view of the monkeys, iguanas and toucans! 1 Queen Bed and we can add two single cots for additional children. Maximum capacity: 2 Adults, 2 Children. 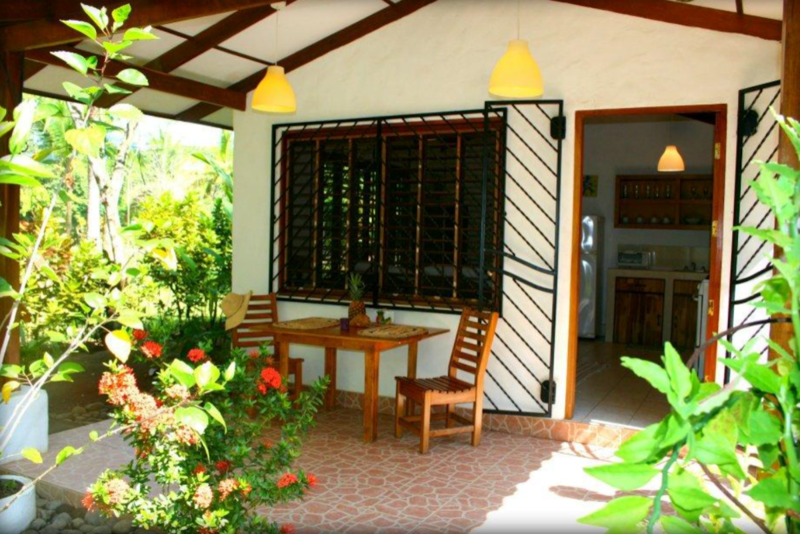 Upper Bungalow is nestled in the mango trees overlooking to Pacific Ocean with a queen bed, fully equipped kitchen, tiled bath and private veranda. Bungalow has hot water, AC and over sized fans. Perfect view of the monkeys, iguanas and toucans! 1 Queen Bed and we can add two single cots for additional children. 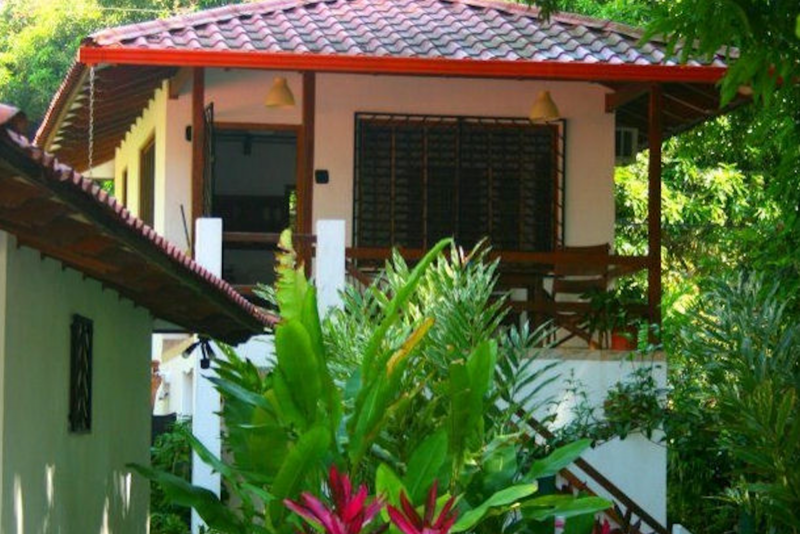 Beachfront Budget Backpackers Bungalow for two! Separate but private shower and bath. 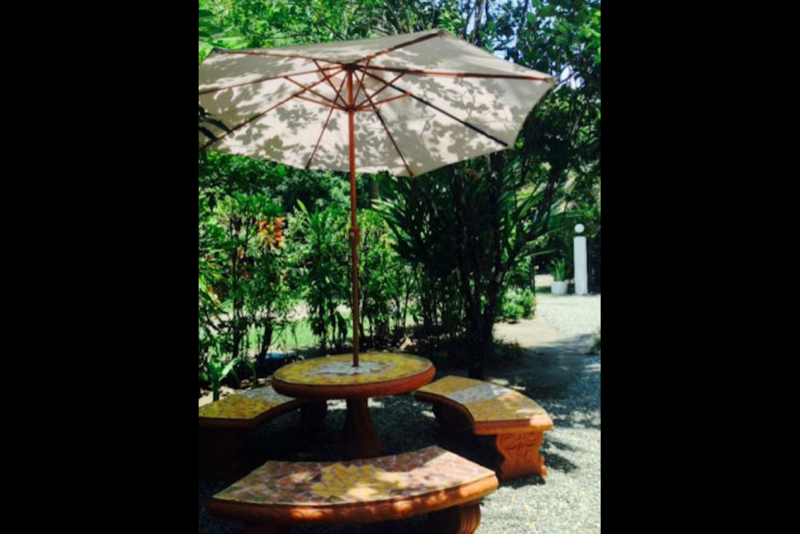 Kitchenette for any light cooking needs with dorm style fridge and beautifully tiled garden dining table with parasol. 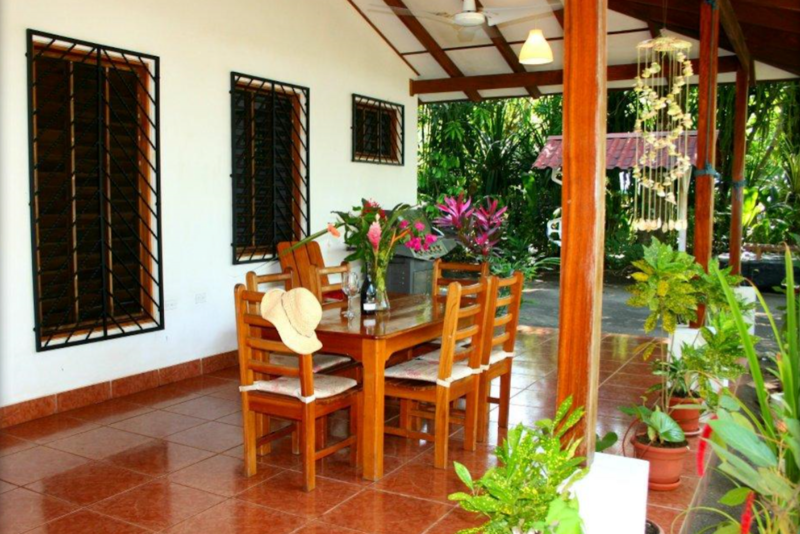 Steps to the Pacific Ocean and a garden in secondary rainforest filled with tropical flowers and abundant wildlife. * 3 or more night special cannot be combined with other specials and/or discounted rates. Special requires booking at least 30 days before check in date and is a maximum stay of 21 nights. • Check-in: From 2:00 p.m.
• Check-out: Until 11:00 a.m.
• Free! One child under 2 years stays free of charge in a child's cot/crib. • The maximum number of children's cots/cribs in a room is 1. • 50% Deposit Required to confirm reservations via Major Credit card or Paypal. Balance plus taxes due 60 Days prior to Arrival. 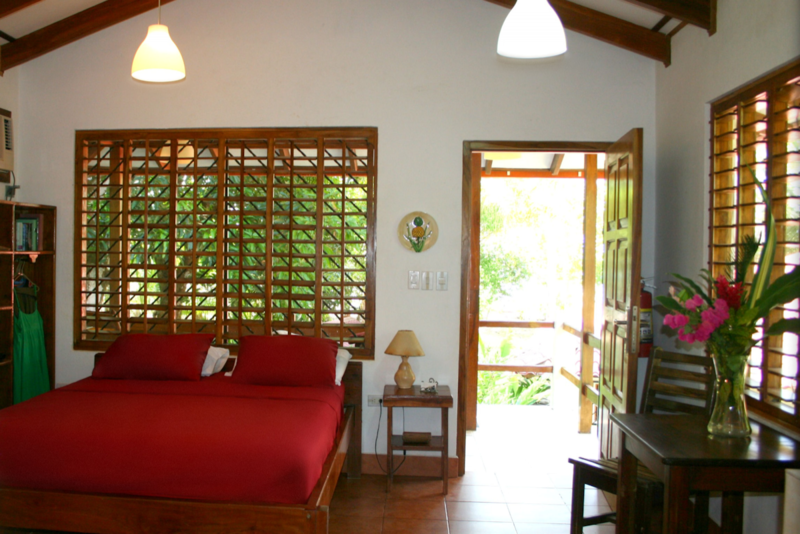 • Free Cancellation if cancelled within 24 hours after booking is made. • 60 Day Cancellation Policy: If cancelled 60 Days prior to reservation arrival date, deposit minus $125 Administration Fee is refunded. If cancelled less than 60 Days prior to reservation arrival date, there are no refunds available.